SuperValu continue to be a major player in the Irish grocery market. A contributing factor to their extended period of success is their ability and willingness to constantly modernise the shopping experience and stay at the forefront of consumer needs. One way in which they do this successfully is through store renovations, expansion and new store launches. The team here at Babelfís are constantly tasked with contributing to this continued growth by providing communication collateral for such events including direct mail, point of sale, point of purchase and much more. Defining a suitable look and feel, while obeying the constraints of the branding guidelines is an ever-present challenge. 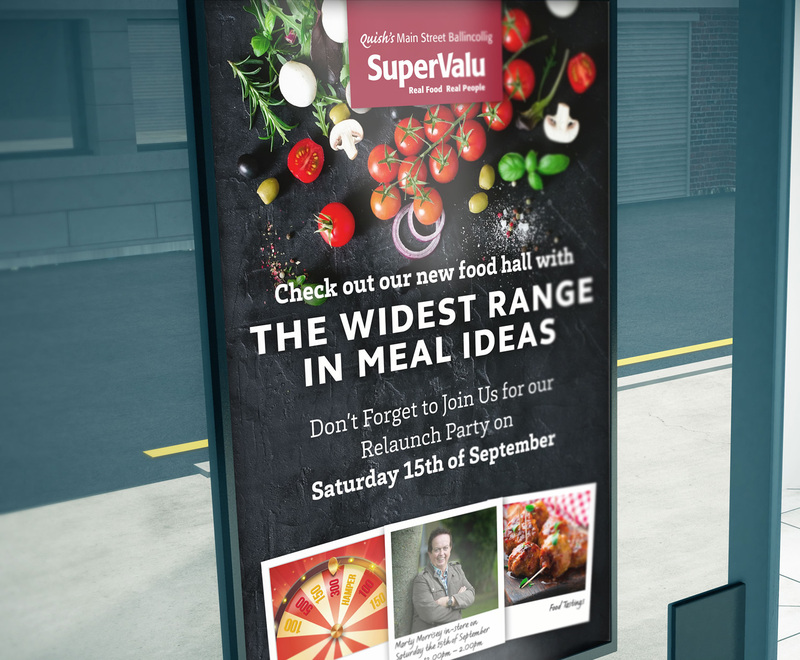 With a fast paced client such as SuperValu, working closely with their local marketing team is key to delivering on brand and on time work worthy of launching a store.